Enjoy a quality psychic text reading now – You can unlock the key to your future happiness and text a live 1-2-1 psychic reader, or for those wanting a more direct reading, you can phone for a reading. We have genuine live readers who are on the line right now, and they’re waiting for your text or call. Furthermore, they’re looking forward to hearing from you. So your future is at your fingertips. We have been providing quality psychic text and phone readings for over 20 years and we approve all our psychics personally. As a result, we aim to provide quality. Maybe if you fancy a live and direct psychic text reading why not text a psychic or make contact by phone right now? Give us a try today and join thousands of our regular happy customers? We’ve got some lovely psychic readers, who take a great deal of pride in providing the best service they can to ensure that you have a brilliant quality reading, every time. We all need impartial opinions and friendly guidance sometimes and if we require something a little deeper or mystical, it makes sense to contact a psychic text reader to call on the mystical abilities of an experienced team of psychics, tarot readers, and clairvoyants to guide you to a better understanding. 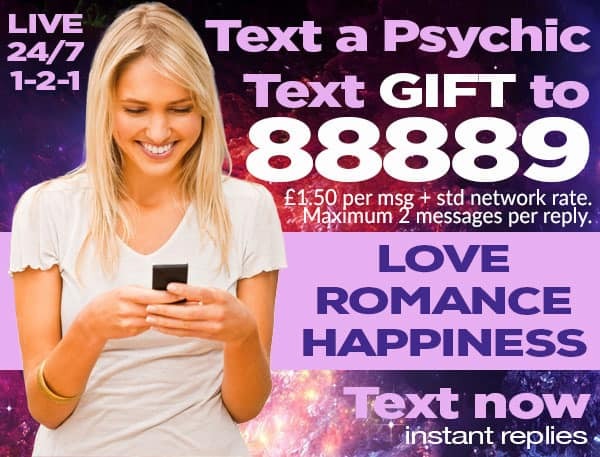 We reward quality, consequently, ApprovedPsychics.com have accumulated a whole host of colourful psychic text readers and put them on-line for you to text right now. Approved Psychics’ text readers are amongst the most talented, hardworking and experienced professionals around. We like to think that every reader we have on our books has a uniquely special, natural gift to suit the needs of everyone. Some readers use spirit guides, some use tarot cards other well-known abilities to help guide you in matters related to and regarding love, relationships, and career. You can read more about each gifted psychic reader by clicking on their image to the right or by visiting the Our Psychic Readers page. We are a small family business and therefore need to keep our costs down so that we can give you the best possible service. In order to help us do this, please bookmark this site on your web browser (Internet Explorer / Firefox / Chrome etc) or search Approved Psychics so that we can avoid paying the high Google advertising costs – because we’d like to pass the saving on to your our valued customer. Call 0905 276 0011 to pay on your phone bill. Lines are open all day every day so you can choose your reader from the Live Reader Panel above, listen to who is online when you call any of the numbers above or read about them on the Our Readers page. 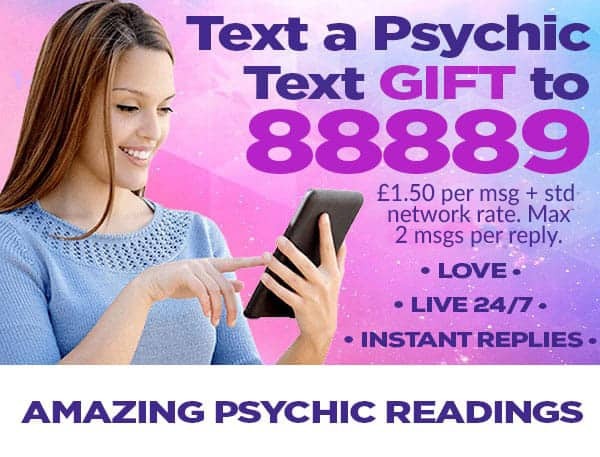 Having a psychic text phone reading is becoming more and more popular, especially when you are out and about and need to be discreet. Our Approved Psychic text readers are available 24 hours a day to answer your important questions. Texts cost £1.50. Complex replies may require 2 texts. See our terms below. Will I get together with…? The human spirit is a complex and mysterious thing and it can raise us up toward the heavens or tie us down to the Earth. Let the Approved Psychics help you to free your spirit from the constraints of the physical realm so that we can lead you to a more harmonious inner-self. Our psychic diagnosticians will work with you to identify the needs of your spirit and offer you help, support, and guidance so that you can achieve your life’s goals. By healing the past and preparing a secure path to the future, we are able to help you to enjoy the present, as a result you will feel stronger and more confident in your life. Come with us on a journey of discovery, isn’t it time to let ApprovedPsychics guide you to a better tomorrow. Only by being aware of the challenges ahead are we able to help you to prepare for the future so that we can meet life’s challenges head on, and consequently feel more successful in your life. Approved psychic readers are friendly, experienced and sensitive to your needs so why not call today? So why not use the Approved Psychics phone services?